If you think the big tides and flooding from the hurricanes are bad, consider a “mega tsunami,” a massive wall of water sweeping across the Atlantic at speeds of over 500 miles-per-hour and striking the entire east coast of the United States. Not only affecting the Americas, but this same wave also would slam into the British Isles, the entire western coasts of Europe, Africa, South America and the Caribbean Islands, destroying everything in its path. Scientists warn that this kind of disaster is poised to really happen because of a large piece of a volcano that is poised to plunge into the sea. All it would take, said Bill McGuire, director of the Benfield Greig Hazards Research Centre, University College London, is an earthquake or eruption of the volcano located on La Palma Island, in the Canarie chain just off the African coast. The danger is quite real, McGuire said. He said the potential for disaster was set up when the volcano, Cumbre Vieja, last erupted. The blast caused a huge part of its western flank to crack. Since then, a massive part of that mountain, an estimated 500 billion tons of it, has been poised to slide into the sea. Measurements over the years indicate that this part of the mountain has been slowly sliding toward the Atlantic ever since. “When it goes, it will likely collapse in about 90 seconds,” McGuire said. When it goes, it will fall into water almost four miles deep and create an undersea wave unlike anything ever seen in recorded history. McGuire, said the wave would be about 330 feet high when it strikes land. The destruction from such a wave would not be limited to just the immediate coastal areas, but reach inland until the power of the water is exhausted. Entire coastal cities could be destroyed. The wave could be formed and strike these areas with such speed that there would be little time for evacuation. Millions would be caught almost unaware. McGuire said computer models show that the super waves could cross 4,000 miles of ocean and reach the Caribbean islands and the eastern seaboard of the United States and Canada within nine and 12 hours. Europe and Africa would be struck much earlier. Worse hit will be harbors and estuaries that channel the waves inland. 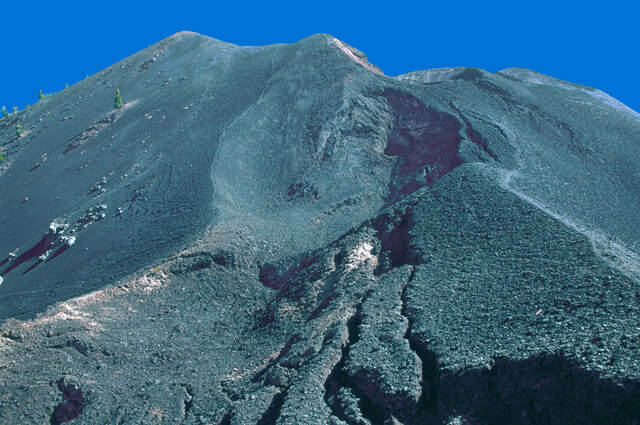 Even though the potential for disaster is known, McGuire said little has been done to monitor the geological activity on La Palma. He said a few seismo-meters are set up on the western flank of the island, but they don’t provide the information needed to predict an eruption.